Antidepressants are commonly used to treat IBS. They are especially effective in treating people with IBS who have discomfort that seems out of ordinary after a normal looking or slightly distended abdomen. These people have what is called visceral hypersensitivity resulting in symptoms with even the slightest disturbance. 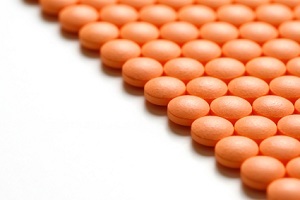 Antidepressants are well known drugs that can change pain perceptions. Traditionally, this class of drugs has been used to treat psychological disorders but have been found useful in altering GI motility or transit. The two main groups of antidepressants used for IBS are tricyclic antidepressants (TCAs) and selective serotonin reuptake inhibitors (SSRIs).Â TCAs have been around for a long time and have been studied the most. These group of drugs include amytriptyline, nortriptyline, imipramine, desipramine, and trimipramine and have been popular for the treatment of chronic pain syndromes such as fibromyalgia. For IBS, the predominant effect of TCAs is pain control, not relieve psychological symptoms. At low doses, they decrease the pain felt with a distended abdomen. This is done by increasing the pain threshold in the GI system. The TCAs also decrease pain by slowing down gastrointestinal motility and reducing stool frequency. Studies have shown that tricyclic antidepressants drugs are much better than placebo at relieving abdominal discomfort. Also, the people that received the most benefit had diarrhea-predominant IBS, no prediagnosed psychiatric disorder, and were without severe symptoms. These medications are started at low doses (e.g., 10 mg) and then slowly increased (up to 75 mg) if there has been no response. Amytriptyline was found to be helpful in people who had disturbed sleep patterns. Desipramine is sometimes used for constipation-predominant IBS. The selective serotonin reuptake inhibitors (SSRIs) are commonly used antidepressants for IBS. Whereas, use and effect of the TCAs is more dependent on mood, this is not the case with the SSRIs. The agents, including fluoxetine and paroxetine, are effective in reducing frequency of symptoms and abdominal discomfort regardless of whether the person is suffering from depression or not. Improvements were seen in stool frequency, abdominal pain, and bloating. Overall, TCAs have been found to be better for pain control than SSRIs, but the SSRIs are also good for pain control and are better tolerated. Other agents such as serotonin-norepinephrine reuptake inhibitors (venloxipine and duloxetine) are being studied for benefits in treating IBS. People that have had a heart attack recently, epileptics, and pregnant women should avoid TCAs or use them cautiously under a physician’s care. El-Baba MF. Irritable Bowel Syndrome. eMedicine [web page]. July 31 2007; www.emedicine.com/med/TOPIC1210.HTM. Accessed June 11, 2008.